When Jono and I first got married, I used to dread our family budget meetings. We would only do them once a month or so, but it always resulted in both of us getting tensed and irritated with each other. He would come up with a plan for the money, and I would just nod and agree to hurry the meeting along. During the month though, I would do stuff that wasn’t in the plan, and we would end up arguing about it at the next budget meeting. I wanted to go out to eat, plan vacations, and go shopping. He wanted to get life insurance and start paying off our student loans. After months (couple of years?) of going through the same cycle, we decided to sign up for Dave Ramsey’s Financial Peace University class. And oh my goodness, it literally changed our relationship. The more I learned about money and the importance of budgeting, the more I learned about myself. I realized that my attitude towards our budget meetings was because I felt intimidated. I had never really followed a budget. Before I got married, all I did was make sure my bills were paid and my car was running. The rest of my money just kind of floated away as stuff came up. So when they introduced the concept of making a zero-balanced budget to us, it blew my mind. It was up to me to tell my money where it would go instead of the other way around. I had to think ahead of every possible scenario and plan for it in the budget instead of getting taken by surprise when stuff came up. When we were done with that class, I felt so empowered. Now my husband and I were finally on the same page. Now I understood why he was constantly thinking of the long-term. I got why he was so adamant about leaving the savings account alone instead of dipping into it when we ran out of cash. We decided to go ahead and make it our goal to put $1000 into an emergency fund. It felt so good when we saved up that money! It felt even better when our car blew a tire and we didn’t have to scramble to try to find money to replace it! Now I realize that the main reason why couples fight over money is so simple: money highlights the differences in each person’s mindset. Every time we talked about money, it was plain as day that Jono is more of a long-term thinker, while I’m more concerned with here and now. He likes to plan ahead and have everything laid out, but I’m more of a free spirit, just going with the flow. 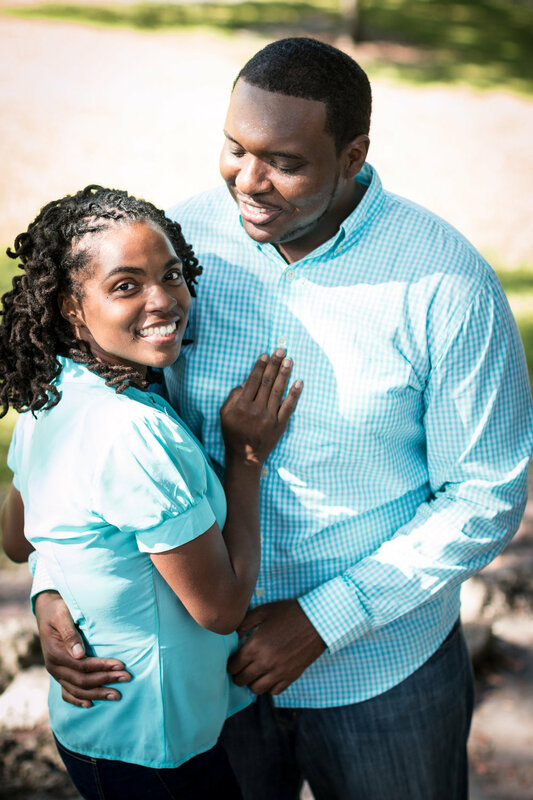 He likes to strategize and think through problems, but I tend to avoid things that intimidate me. I like to stay in my comfort zone. So what do you do when you and your partner are opposites? 1. Embrace your differences. Instead of trying to change your spouse or making them feel bad about they way they are, focus on their positive aspects. There’s something that each of you can learn from each other that will help you both become better people and enhance your relationship. I can honestly say now that Jono’s need for routines, plans, and strategies have helped me see the benefit in being more organized. I try to be more intentional about planning out my day and what I do with my time, as well as our money. He sees the benefit in being flexible and being able to go with the flow when things come up. 2. Try to understand each other. There’s almost always a deeper reason for your partner’s actions. Jono didn’t realize that my lack of experience with money made me feel intimidated and anxious. 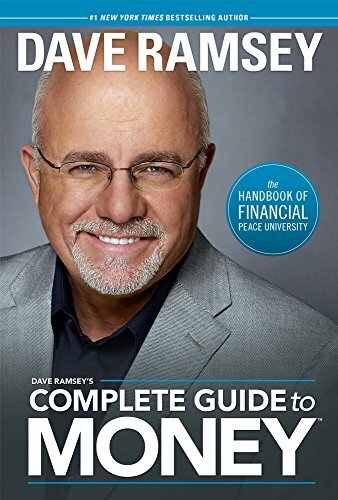 I’m pretty sure that if he had, we would’ve taken Dave Ramsey’s class a lot sooner. I didn’t realize how important it was to Jono that our family had financial security. I knew he had grown up in a household where money was very tight, but I didn’t realize how driven he was to make sure our family didn’t have to go through the things he had to go through as a child. He had to wear the same pants and shoes to school every day. They never turned on the AC so that the electricity bill would stay low. I never had to go through that, so when he was being super strict with our budget, I felt like he was trying to control me. We both needed to understand each other better, and thankfully now we do. 3. Remember that you’re on the same team. I used to feel like Jono was trying to control me when we would have our budget meetings. He thought that I didn’t care about his wishes. We were both wrong. When we took that class together, a part of a relationship finally clicked into place. We decided to be intentional about working together on our budget instead of Jono coming up with a plan by himself. When we did that, I found it easier to speak up about the things I really wanted to do, and we found ways to put it in our budget. It was so simple now. Working out our money differences made us so much happier as a couple. It made us appreciate our differences instead of trying so hard to make each other change. And that’s why our relationship is so amazing! Want to learn more about how to make your differences STRENGTHEN your marriage instead of weakening it? Sign up today for our FREE training! Sign up to get our articles and resources in your inbox! Thank you! Remember to move our emails from your PROMOTIONS tab to PRIMARY if you have Gmail. This way you make sure that you see our emails right away. Talk to you soon!